Foundation Repair and Waterproofing Solutions that work every time, guaranteed! 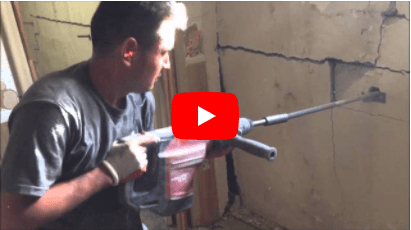 Efflorescence – What is it? This sinking townhome in West Valley City was featured on KUTV’s Get Gephardt. It was ready to be condemned. Take a look and see what happened. See how we lifted a driveway in Lehi that had dropped 4″ with our POLYCrete technology. POLYcrete provides a permanent solution that will not wash out or weigh-down an already heavy slab. 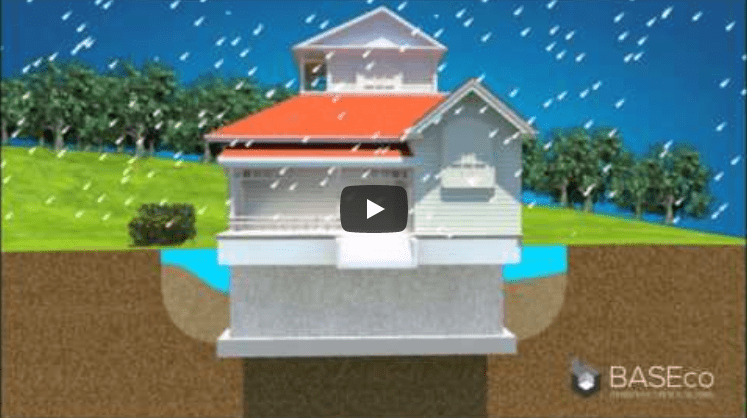 Whether a home is built near a high water table or has a flawed or cracked foundation, BASEco offers several warrantied solutions to fix a wet basement. Helical and Push Piers are commonly recommended by engineers to stabilize heavy structures. For new construction soil issues Helical Piers are an excellent choice. We offer a variety of guaranteed solutions to lift and stabilize a settled structure. Lift driveways, sidewalks, patios, steps, and garage floors for less than half the price of replacement. We offer several different methods of waterproofing, each one of them is considered a permanent fix and comes with a guarantee. 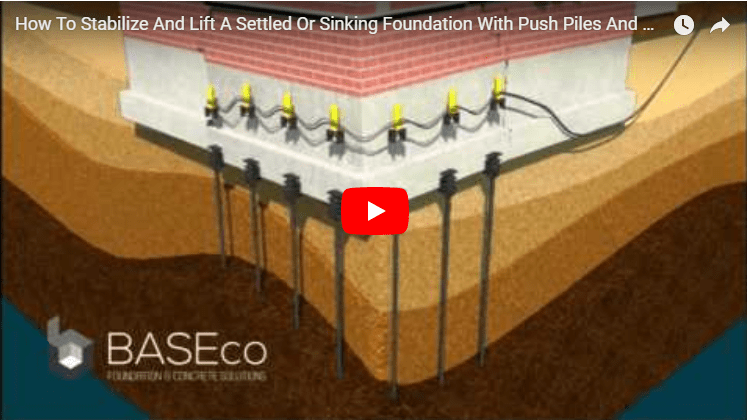 Most people have never even heard of a helical pier or push (resistance) pier before. Then again, most people don’t realize that their home could sink either. In Utah, the issue is more common than one might think. The Wall Anchor System uses high-strength steel anchoring plates and structural anchor rods to immediately stabilize the foundation wall and counteract pressure being exerted against it. BASEco is the only Foundation and Concrete Solutions Company in Utah that anyone needs to remember. Our team has the tools, knowledge, and experience needed to identify problems, and we provide this service through free inspections and recommendations of the best permanent solutions. Our services cover a wide scope of different scenarios that can cause adverse effects on a property. Each member of the BASEco team has the training and field experience qualifying them to assess if a property is at risk of further damage. They can also determine whether a crack in the wall is just that, or a sign of something bigger further down the foundation. There are few other companies that are into the kind of things that we do, and even fewer are as good as we are. Our teams have two things they always remember whenever they begin work on any property: quality and safety. Providing foundation and concrete solutions is risky business, and we strive to finish the project in one go, making it a permanent solution. We also always have your safety as the priority every time we conduct any of our services, which enables us to bring out the best in our work. Make sure to browse through the rest of our website to learn more about the different services that we have to offer. Don’t hesitate to contact us or pay our office a visit if you think you need more information on us as a company, or regarding how we conduct our free inspections. Copyright © 2019 · All Rights Reserved · Foundation Repair and Waterproofing Solutions that work every time, guaranteed!